Butterfly Medical Spa resides between Rockville and Gaithersburg of Montgomery County in Maryland. We specialize in “state of the art” minimally invasive medical and cosmetic aesthetic treatments designed to enhance your natural beauty, unleash your inner beauty and achieve your goal of looking younger and healthier with minimal downtime. 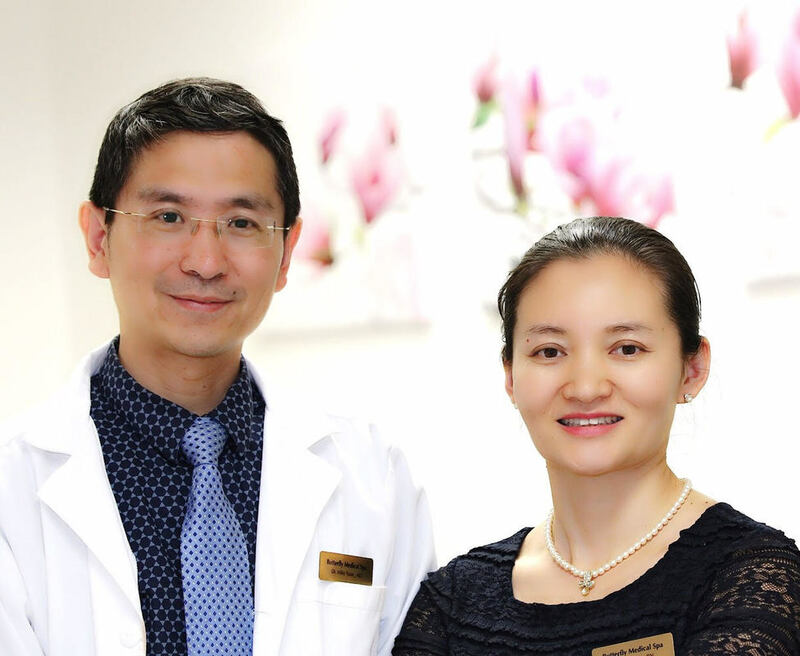 Dr. Yuan completed his internship in General Surgery at Lenox Hill Hospital in New York City, followed by residency training at Eastern Virginia Medical School. He obtained further training and is certified by the American Board of Aesthetic Medicine. He has published a scientific paper on Botox injections. His passion is discovering patients’ unique aesthetic goals, and working with them to develop a plan to make these goals a reality. He performs injections such as facial fillers, botulinum toxin, and laser treatments. Jennifer has been a Registered Nurse for more than 20 years on the medical-surgical floor. She has developed a love in aesthetic medicine and is trained as a laser and skin care specialist. She is committed to helping others succeed in attaining their health, beauty and wellness goals. She lives in Potomac with her husband and lovely kids. She loves art, beauty and cooking. Jennifer has a passion for delivering beautiful, natural-looking aesthetic results for her patients.